Mechanicsville, VA :: After taking the 2013 season off to market himself and his race team, local driver Brandon Atkinson is more than ready to suit up and get back behind the wheel of the #15 machine. 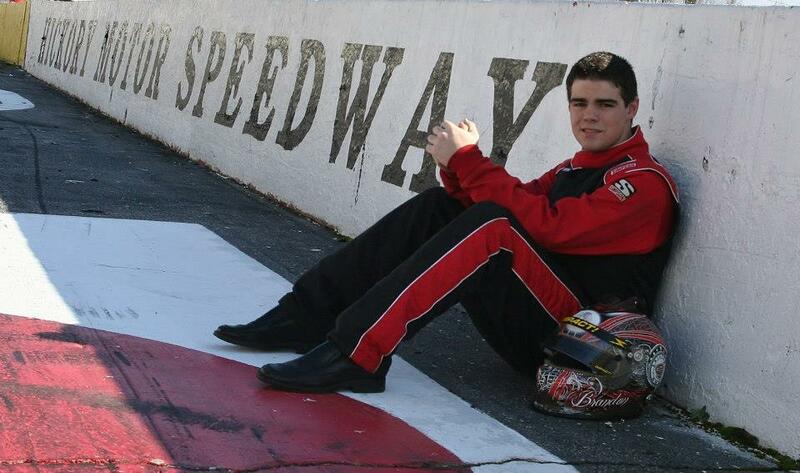 I had some time to sit down and talk to this young man about his racing career and plans for the 2014 season and after chatting with Brandon you would think you were talking to a Nascar driver who has been in the business for a while. He was very receptive and willing to answer questions and I honestly feel as if he had a great time. Head over to his interview in the Driver Series page to get to know this young man on a more personal level. I asked Brandon the one question I make sure to ask all of my drivers “How did you get into racing?” The answer I received was not one I was expecting. Coming to a track like Langley Speedway where big names like C.E. Faulk, Greg Edwards, Nick Smith and Matt Waltz to name a few I had to ask Brandon what he thought will be the hardest part of racing this year full-time at Langley Speedway. With open practices starting soon here at Hampton’s premier short track, Brandon has told me he cannot wait to start testing at the 4/10 mi flat track! Brandon is currently funded and supported 100% by his family, he told me sponsors are more than welcome to come on board for the 2014 season. One way to reach Brandon is through is teams Facebook page, Brandon Atkinson Racing, make sure to head on over and hit the Like button to stay up to date on his progress throughout the season. Tell him you’re interested in sponsoring his ride and let him know The Weekly Racer sent ya! If you had a chance to see this mans trophy case I would hop on this opportunity quick. I want to thank Brandon again for taking some time out of his day to share his story with me, hope everyone enjoyed it, now click the link to check out his featured interview this week!